KSRealityBites: Deficiency or excess of Iron - bad for brain! Deficiency or excess of Iron - bad for brain! Iron plays a vital role in the development of the brain. Deficiency of iron can result in cognitive problems, while excess promotes degenerative diseases such as Parkinson's & Alzheimer's. Iron deficiency is the most common nutritional deficiency worldwide, causing poor cognitive achievement in school-aged children. Now it has been found to affect the brain's physical structure as well. Paul Thompson, professor of neurology at the University of California Los Angeles, & his colleagues measured levels of transferrin, a protein that transports iron throughout the body & brain, in adolescents. 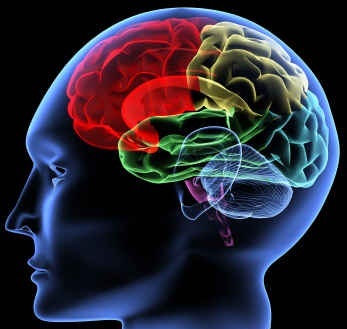 Since both a deficiency & an excess of iron can negatively impact brain function, the body's regulation of iron transport to the brain is crucial, the proceedings of the National Academy of Sciences reports. According to a California statement, when iron levels are low, the liver produces more transferrin for increased iron transport. The researchers wanted to know whether brain structure in healthy adults was also dependent on transferrin levels. Thompson, member of California's Lab of Neuro Imaging said that they found healthy brain wiring in adults depended on having good iron levels in teenage years. This connection was a lot stronger than they expected, especially as they were looking at people who were young & healthy - none of them were considered iron-deficient. They also found a connection with a gene that explains why this is so. The gene itself seems to affect brain wiring, which was a big surprise! Thompson's findings are based on MRI scans on 615 healthy young-adult twins & siblings, who had an average age of 23. He said that by averaging the subjects' transferrin levels, which had been assessed repeatedly - at 12,14 & 16 years of age - the researchers estimated iron availability to the brain during adolescence.